Dena Davida co-founded, directed, and is currently the in-house curator of Tangente, Québec’s first dance presenting organization. She also co-founded the CanDance touring network, and co-founded and co-programmed the Festival international de nouvelle danse de Montréal from 1985 to 2005. She has taught at the Université du Québec à Montréal for over 25 years. Marc Pronovost is General and Artistic Manager and a co-founder of B21, an organization exploring the social impact of artistic projects in relation to sustainable development. He holds a master’s degree in Development Studies from the Graduate Institute of Geneva. He is the author of Art et développement (2013). Véronique Hudon is a researcher, author and curator of living arts whose work is situated in the space between gallery and stage. She is a PhD candidate in Arts studies and Practices at the Université du Québec à Montréal. She currently collaborates with several periodicals in the arts field. Jane Gabriels is the co-curator and Project Director for the Young Roots Performance Series at the Hostos Center for the Arts and Culture, City University of New York. Her publications include interviews with artists in Movement Research Performance Journal, Latino Rebels, and Bronx Dance Magazine. Chapter 19. The Work of the Musician-Curator and the Notion of the "Concert Scenario"
Chapter 23. Re-enact History? Performing the Archive! Chapter 38. What Can Contemporary Art Perform? And Then Transgress? 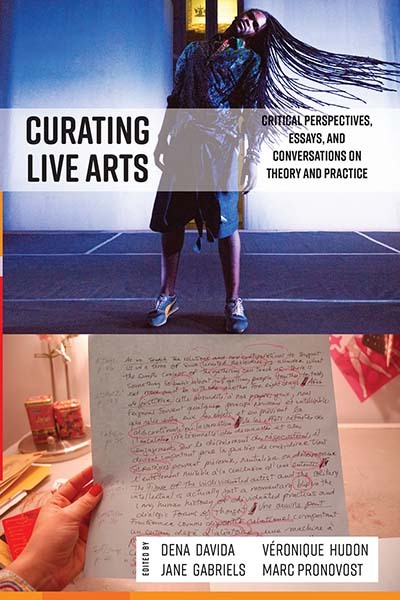 Epilogue: Situation Critical: What Comes Next for the Field of Performance Curation?